Kick off your peak training and racing season right. Join us for an evening of awesome resources and tips from local business owners passionate about keeping athletes fit and healthy. 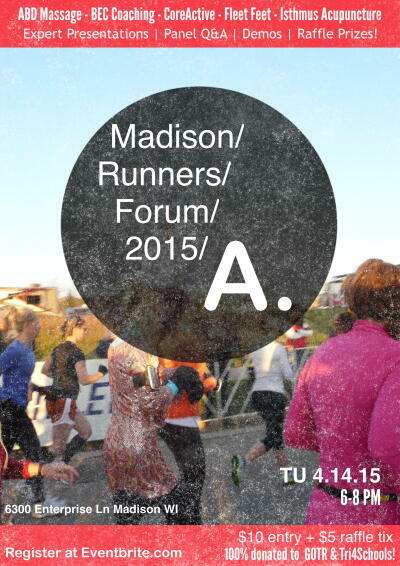 An excellent forum for runners of all experience levels from beginner to elite. Proceeds to Girls on the Run Dane County and Tri 4 Schools! Expert Presentations | Q & A Session | Demos & Raffle Prizes!